Once you have created your online survey, you can share your questionnaire in many different ways and collect responses. For every online survey you create, you can use different methods to share it with your participants. You can simply use a survey link and share it by email or post it on Facebook, Twitter, etc. 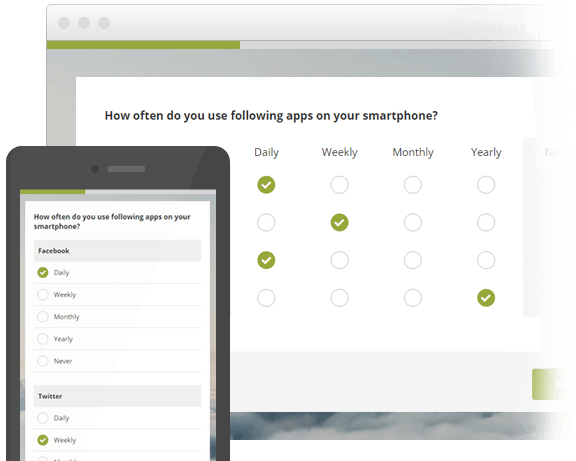 You can also embed your survey into your website or even enter responses manually. There are no limits. All of our online questionnaires are automatically optimized for mobile devices. We do not only make sure that they look pretty everywhere, we also adapt question types to be ideal for every screen size. This guarantees the highest possible response rates. Let us do the monkey work for you. Just copy and paste your participants email addresses, create your own custom message and hit send. We will automatically send each individual a personalized email with their very own survey link. Reminders can also be sent with the push of a button. We want to offer you a tool that will be able to reach every single potential survey participant you require and are always working hard to make an armada of different features available to you. See below for additional features and please feel free to get in touch if you have any questions. 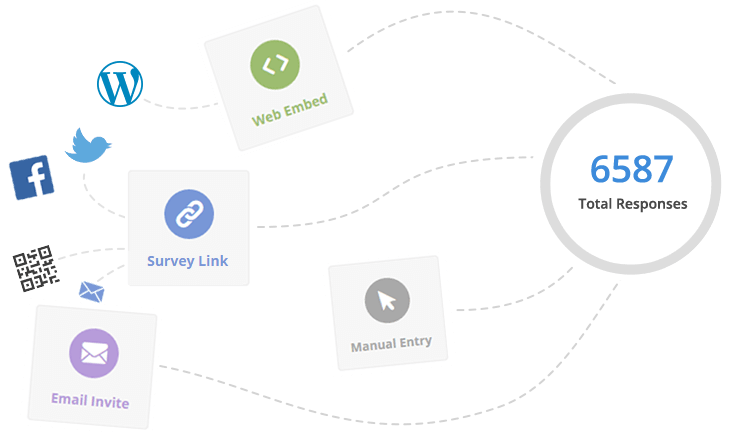 For each of your surveys you can create multiple links or codes for collecting responses. In the results of your survey, you are then able to filter by those groups of participants. Sometimes you might need to conduct different surveys among the same group of people eg. a customer list or website subscribers. You can create and maintain different contact lists within your account and easily invite them to new surveys. We offer different settings for preventing multiple participation if necessary. You can change these settings per survey link. You can also allow repetitive participation. You can define whether you want to collect additional data of your participant, such as IP or email address. Without this information you can make sure your survey remains anonymous.